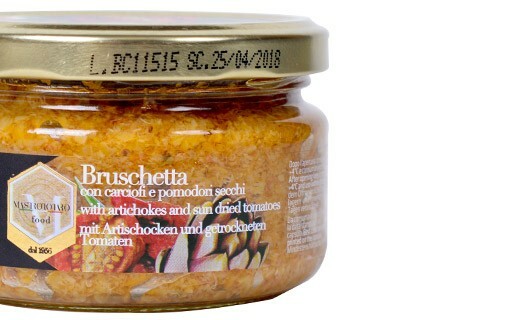 The bruschetta are chopped vegetables spread on toast as an aperitif or diluted with cream in pasta. 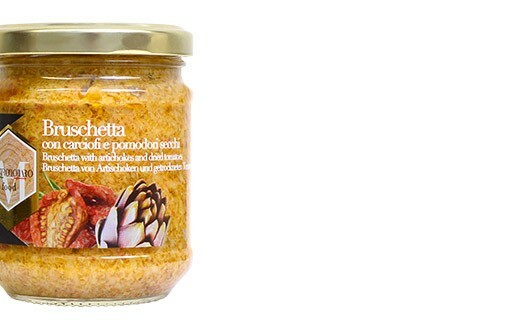 Here the sweetness of the artichokes is subtly noted by the intense flavour of dried tomatoes to give a very tasty recipe. 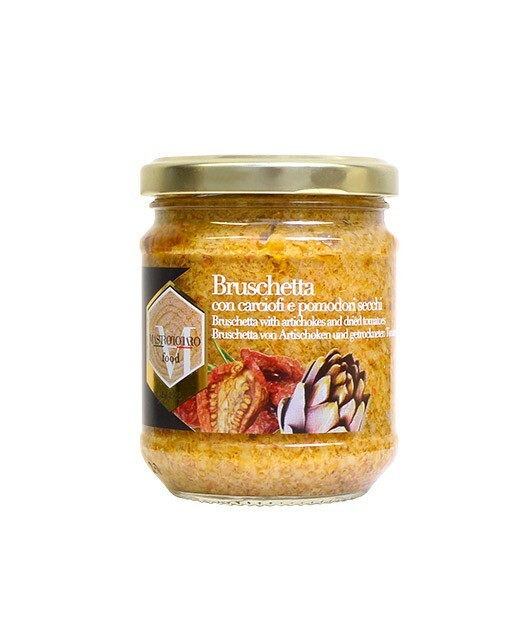 Artichokes 57%, extra virgin olive oil, dried tomatoes 5%, parsley, garlic, wine vinegar, salt. acidity regulator: citric acid, antioxidant: ascorbic acid. bruschetta, sliced vegetables, artichokes, sundried tomatoes, Mastrototaro. bruschetta, émincé de légumes, artichauts, tomates séchées, mastrototaro.